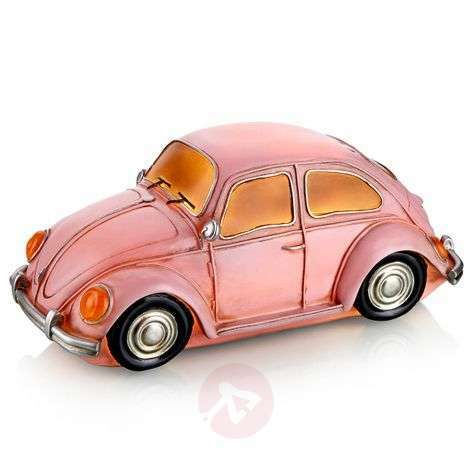 This LED decorative light called Nostalgi is a real must-have for all VW Beetle lovers, as the entire body of this classic car light is in the form of this cult car, which was produced from the end of 1938 until the start of 2003. The use of resin means that the entire body is translucent, so that the design is shown to even better advantage when the light is turned on. Overall, the light is a real highlight in the home not only when it is turned off, but also when it is turned on. 3 x AA batteries are not included. With a six-hour timer function and a connection socket for optional operation using the mains power (a transformer is available in the accessories).